Peruvian - Miguel is a tall, stretchy and proud full Accoyo with proven ability to let the color of the dams pass through. Miguel provides the rare combination of accoyo genetics and strong color potential. His cria are approximately half female. Watch for Miguel's outstanding offspring in the show ring! KHF Peruvian Accoyo Aragon A MIGUEL CLONE! 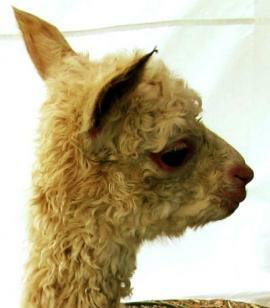 May 27th - Aragon just had a FAWN "full accoyo" cria out of our white, full accoyo Ahlaja! Way to go Aragon!!!!!!! 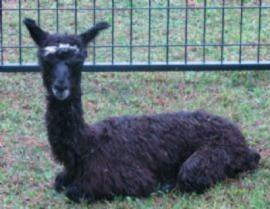 Now proven to be the sire of "darker than the dam" and stunning cria. Fall 2009 - A medium brown from a light fawn and a light fawn from white! He is the proud sire of a 1/2 accoyo BLACK female, a "BEAUTIFUL", "LUSTEROUS", 3/4 Accoyo Female with wrinkled skin, 3 outside evaluations have all said she is everything breeders wish for and now ANOTHER STUNNING, FAWN, FULL ACCOYO, FEMALE!!! Full Peruvian, 100% Accoyo; Aragon is true to his Accoyo Genetics. 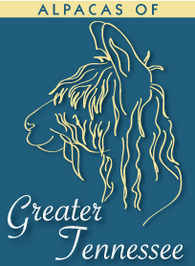 He has fiber density, quality, fleece coverage, long twisted locks, beautiful luster, and a loveable personality. His sire 4Peruvian Miguel, passes color, and has many champion cria. 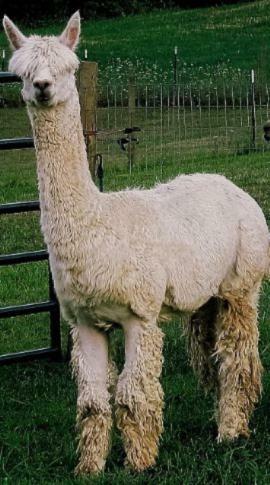 Aragon has a majestic presence, wide stance, straight legs, large bone structure, very nice regrowth, consistent locks, perfect proportion, high luster, dense fleece, low micron count, throws color and his best feature is his temperment, Add a low stud fee, and you have one of the best herdsire opportunities anywhere. Aragon is also fun to be with, he eats out of your hand, watches out for the youngsters and is a wonderful, full accoyo herdsire, He is an excellent addition for any full Accoyo, breeding program. If you are looking for Accoyo genetics, Aragon is the one. A Full Accoyo Champion as a Farm favorite - WOW!